2Rice Res. &amp; Training Center, Sakha, Kafr El-Sheikh, Field Crop Res. Institute Agric. Res. Center, Giza, Egypt. The results showed that improvement of soil chemical properties such as soil salinity and soidicity by application of soil gypsum requirements (SGR100%) combined with 4ton from compostFed.-1 and subsoiling in both seasons. Also the same previous treatments had a highly positive effect on soil Ca/Mg ratio in root zone (0-60 cm) in both seasons (1.24 and 1.47, respectively) as compared with check treatment (0.76 and 0.78). It could be observed that the application of 100% from SGR combined with compost and subsoiling was superior to other treatments in decreasing of the soil bulk density and increment both of the soil porosity and Soil infiltration rate. Yield of barely and rice were highly significantly increased and recorded highest values due to application of gypsum combined with ammonia and subsoiling. Economic efficiency was recorded highest values due to application of SGR and ammonia injection with subsoiling in both seasons. Consequently, application of SGR with ammonia and subsoiling treatment could be used economically to improve the yield of barely and rice. 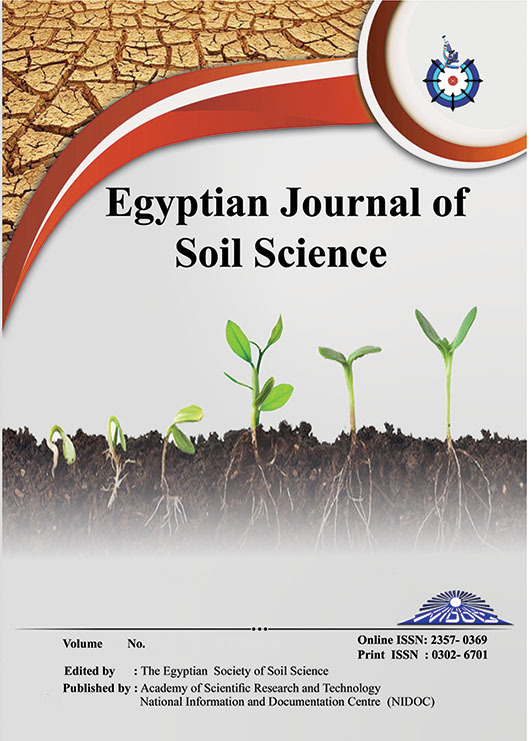 And application of SGR combined with compost and subsoiling to improve some physio-chemical properties of salt affected soil at Kafr El-Sheikh Governorate.